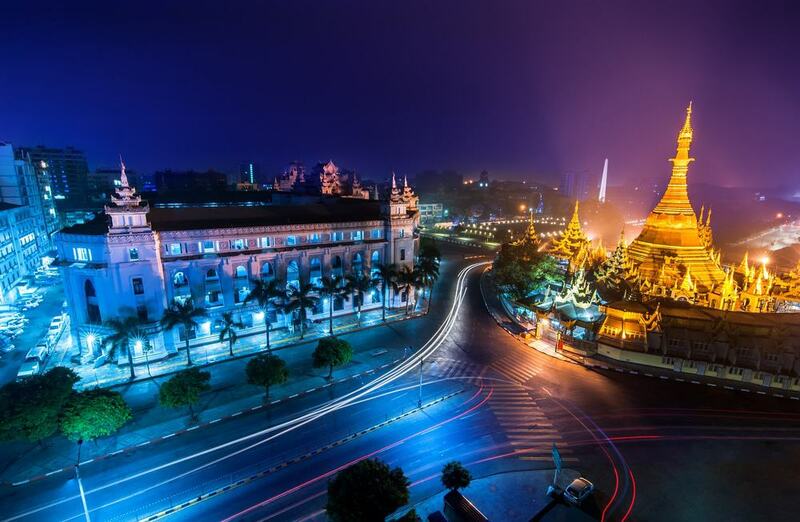 Yangon is the former capital city of Myanmar and this is also the largest city in the country. The city is famous for having a mix of gorgeous colonial architecture which is located alongside traditional pagodas covered in gold leaf and studded with jewels. 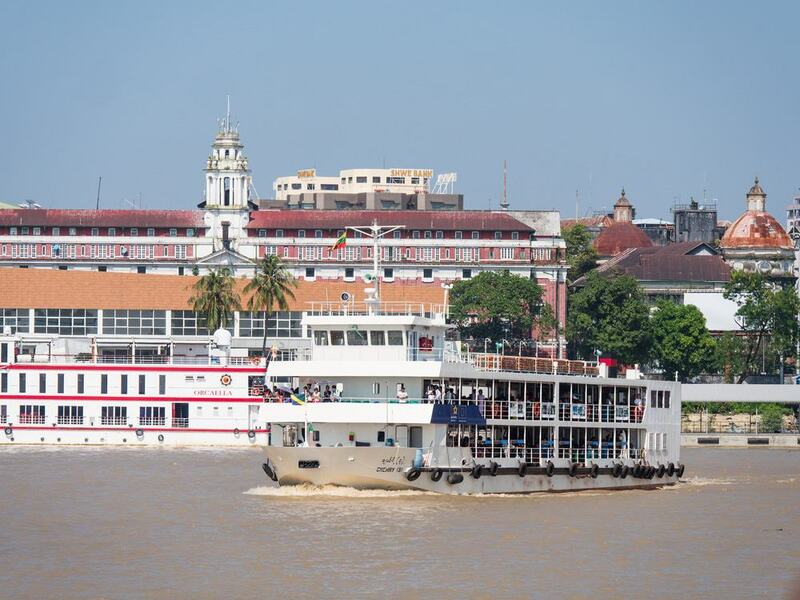 As you wander around the city, you can also enjoy delicious street food bites or you can also visit some of the more modern parts of the city to have a rooftop cocktail as you take in the glittering monuments and limpid lakes for which Yangon is so famous. If you don’t have much time to visit Myanmar then this is also a good chose as Yangon is close to other spots that make an easy day trip such as Hpa-an and the Golden Rock. 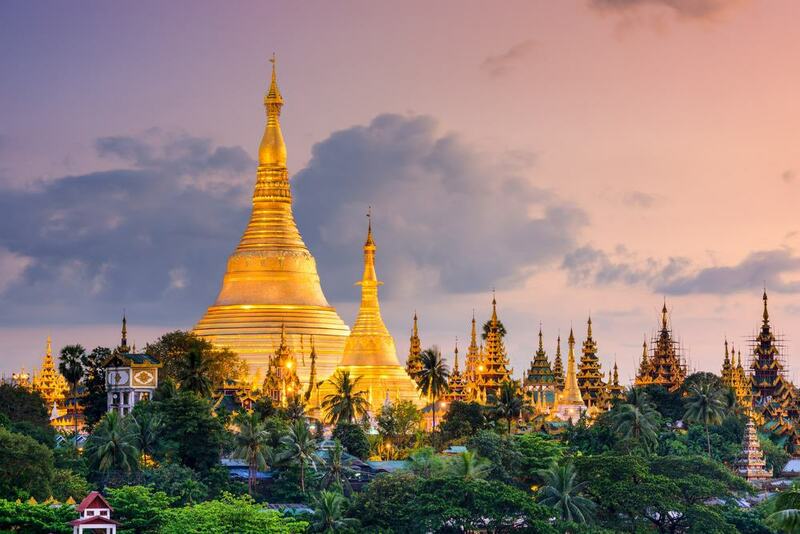 The Shwedagon Pagoda is one of the most famous pagodas in the world and is simply stunning. 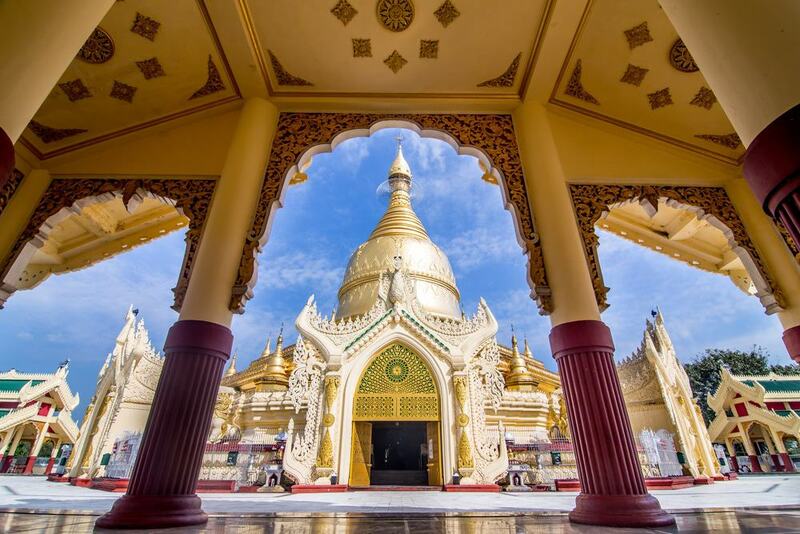 This is the main attraction that you have to see when you are in Yangon and the pagoda is also one of the most sacred sites to the Buddhist community in Myanmar. The pagoda is made up of a central structure which is covered in gold leaf and studded with precious stones like diamonds and rubies. You will also find other amazing objects here such as diamond crowns and if possible try to come here at sunset when you can take in the gorgeous skies across Yangon. It is said that the pagoda has been in situ since the 6th century AD when lotus blossoms bloomed here and a sacred hair of the Buddha was housed in the building. Many visitors to Myanmar don’t realize that the food is simply delicious, as Burmese cuisine has failed to catch on as much as other Asian foodstuffs worldwide. 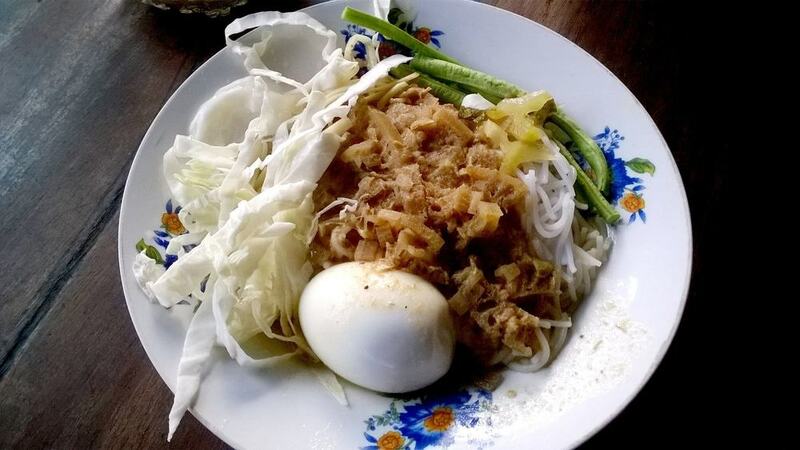 That said, Yangon has an amazing food scene and when you are in town you need to try one of the most famous dishes in Myanmar which is Shan noodles that originated in Shan State. The best place to eat them in the city is in 999 Shan Noodle and this small shop serves up bowls of steaming noodles which are accompanied by vegetables, herbs, and a range of sauces to customize your dish. 999 Shan Noodle is a humble eatery in the city so don’t expect anything fancy but the line of locals eating here proves just how delicious the toothsome delicacy served here really is. 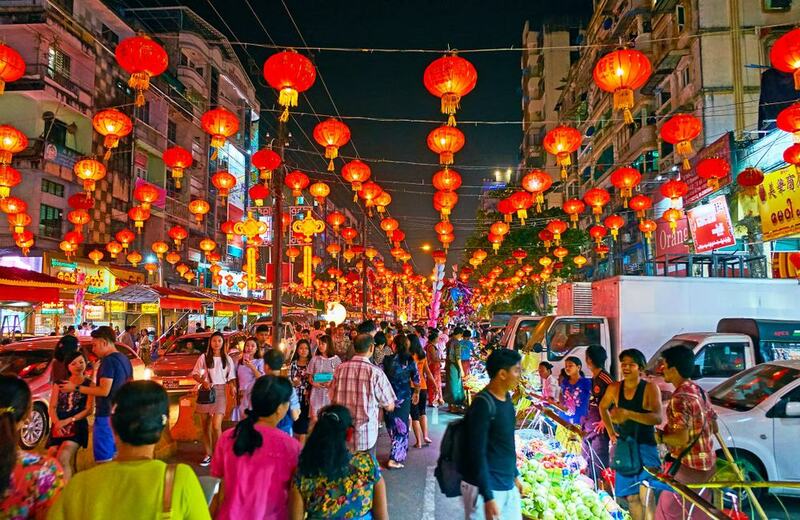 Yangon has a sizeable Chinese population and as you would imagine it also has its own Chinatown. This is one of the best places to visit in the city if you are looking for local markets as well as a whole plethora or barbecue and street food options. Chinatown is located around 19th street in Yangon and this is also one of the best places to not only shop and eat but also take in the pretty architecture in this part of town which is quite different from other locations. Sule Pagoda was built some 2,500 years ago and is one of the most famous temples in the city. What makes this pagoda so unique is that it is located in the middle of a rather modern part of town which serves to highlight its historical importance. The Sule Pagoda, also known as Sule Paya is made up of a 46 meter stupa that is shaped like an octagon. You can now walk around the pagoda and check out all the architectural motifs inside the main building and the walkways are an oasis of calm in the middle of the bustling city. 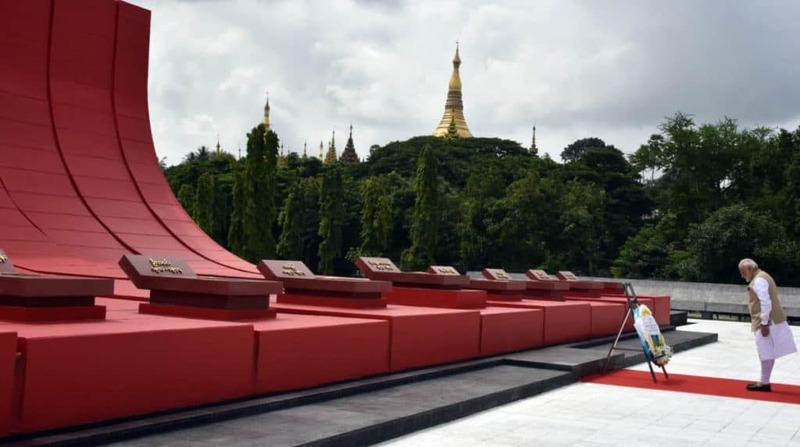 The Martyrs’ Mausoleum is located near to Shwedagon Pagoda and is a memorial which was built to honor the Major General and ‘founding father of modern Myanmar’ Aung San and six of his cabinet members who were assassinated. It also contains the tomb of Queen Suphayalat who was the wife of the last king of Myanmar as well as others such as former Un Secretary General U Thant and writer Thakin Kodaw. From the mausoleum you can also check out panoramic vistas over the rest of Yangon although bear in mind that it is only open on the 19th of July every year as this is a public holiday to remember the assassination of Aung San. Chaukhtatgyi Buddha Temple is known for having a statue of a reclining Buddha which is 217 foot long and is one of the largest in Myanmar. This is one of the most beautiful Buddha statues in this part of the world and the attention to detail that was put into this monument is amazing. The face was worked on several times as it was said to look too severe when it was first made, and you can now enjoy all the intricate details and design touches up close. 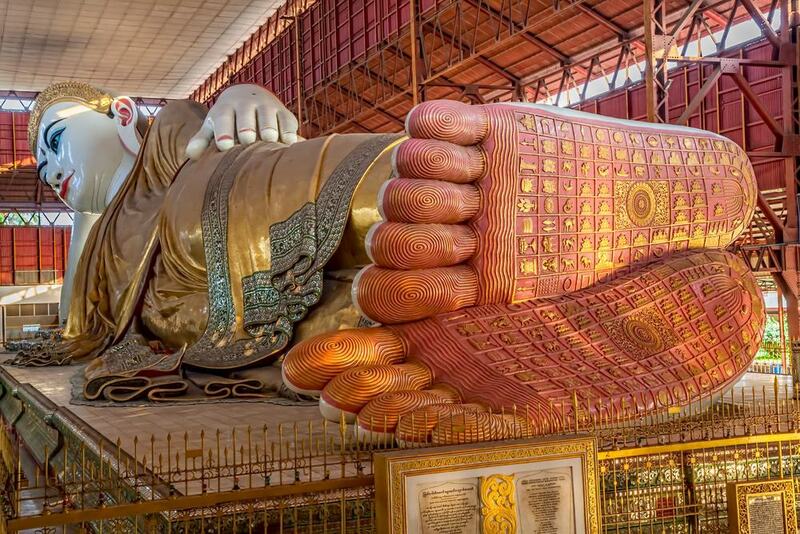 You can even take in the long eyelashes of the Buddha as well as inscribed feet which make this well worth the trip as the temple lies outside of downtown Yangon. 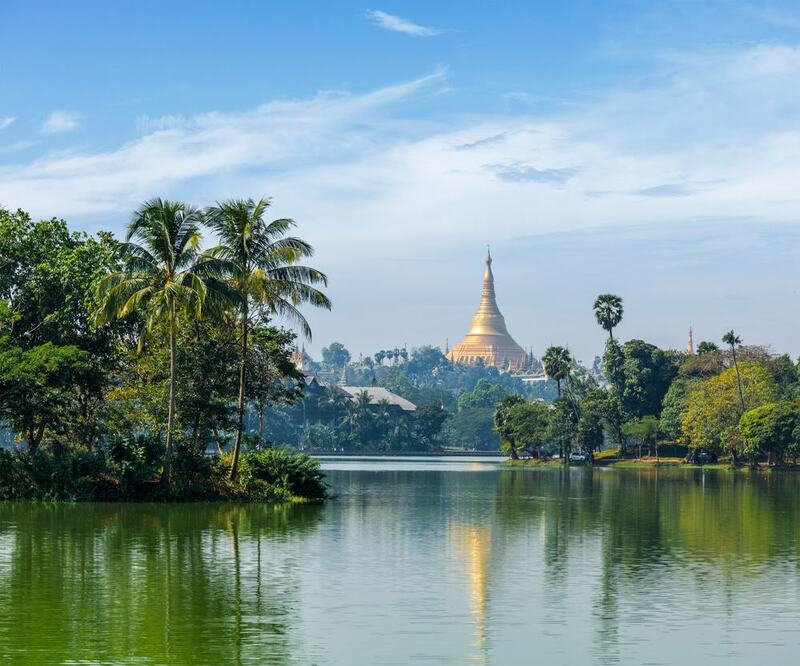 If you want to try a favorite local activity in Yangon then you can go down to Yangon Lake (also called Kandawgyi Lake) and feed the resident catfish. This may sound strange but when you get down to the water you will find vendors who sell hunks of bread which you can then throw to the amazing catfish. Be warned that the fish are rather large and if you throw bread to them this will result in a spirited feeding frenzy, but it is also one of the quirkiest activities you can enjoy in the city. If Myanmar has a national dish then it is definitely Mohinga. 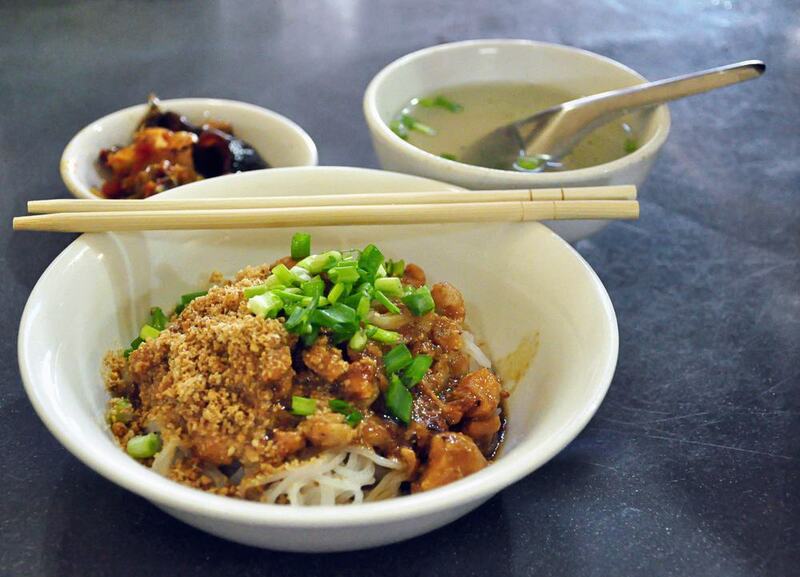 Usually eaten for breakfast, this dish is made of rice noodles which are cooked in a fish based broth. The whole dish also has a curried flavor to it as it is packed full of spices and aromatics and this is usually eaten for breakfast so make sure not to miss trying a steaming bowl when you are in town. Botataung Pagoda is also known as ‘1,000 soldiers’ and it was built to honor 1,000 military leaders in Myanmar who made of guard of honor and paid their respects to the relics of eight strands of hair that were said to have belonged to the Buddha and which were brought over from India some 2,000 years ago. The hair is still preserved in the pagoda although it is not on show to the public, but this is still one of the most important religious monuments in Yangon. Kandawgyi Park is one of the best places to visit in Yangon if you want to get out of the center of the bustling city. The lake here is a top spot to watch the sunrise or sunset across the city and you can watch local families visiting the park at all times of the day. 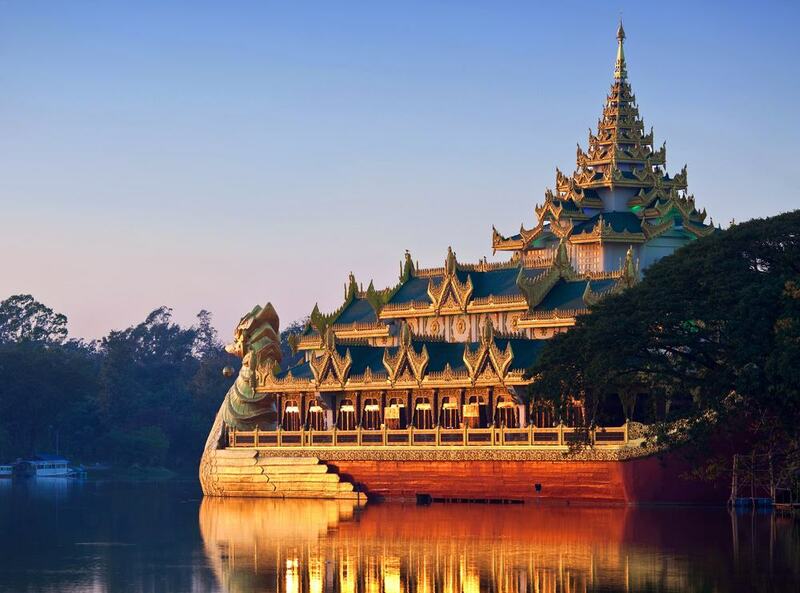 From the park you can look out across the lake and see sights such as a massive golden dragon boat which sits on the water and also look across to the brilliant Shwedagon Pagoda. Bahadur Shah Zafar Grave is located on Zi Wa Ka Street and is known for being the final resting place of the last Mughal emperor of India. Bahadur Shah Zafar was also the last ruler of the Timurid Dynasty and after the Indian Rebellion in 1857 he was exiled to Yangon. Nowadays you can visit the tomb and there are guides here who will take you around the modest complex and tell you all about the history of the emperor who is now also considered to be a Sufi saint. The Strand Hotel is a Yangon institution and is known for being the grandest hotel in the city. The Strand Hotel was built in 1901 by the Sarkies brothers and it was renovated in the 1990s to its former glory. This is one of the most famous colonial buildings in Myanmar and you can come here for a cocktail or have a traditional English afternoon tea. 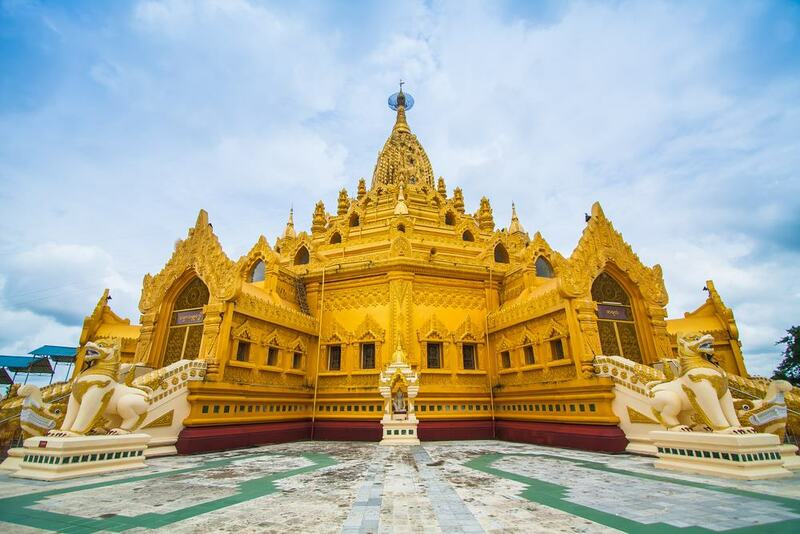 Kaba Aye Pagoda is one of the prettiest pagodas in Yangon and you will find a peaceful courtyard here that seems a world away from the busy streets of the city. 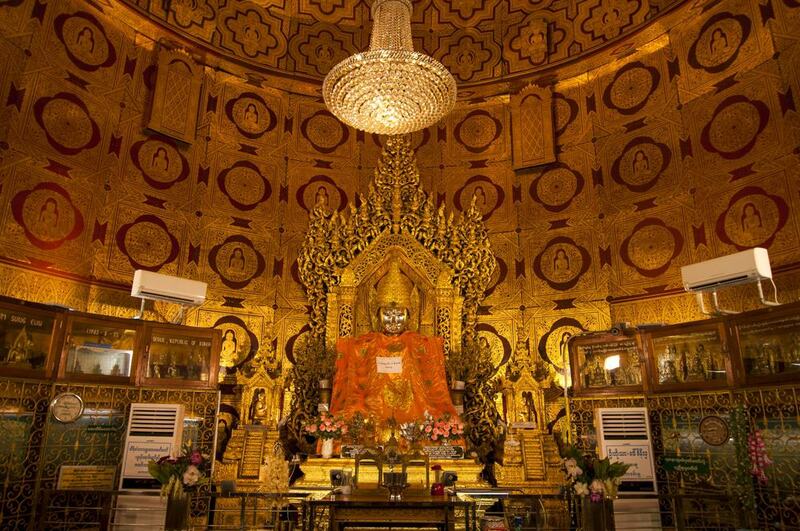 The main reason to come to the Kaba Aye Pagoda is to take in the Buddha centerpiece which is made of silver. Make sure to note that you can’t wear your shoes in the pagoda so you will need to bring a bag with you or leave these outside, which is true of all sacred spots in Myanmar. Also make sure you try to visit in the morning or late afternoon as the sun can make for rather a hot visit. If you want to walk through some of the history in Yangon then you need to head to the National Museum. Here you will find a whole range of Burmese artifacts as well as galleries filled with antiques and other regalia that date back to the Konbaung Dynasty. 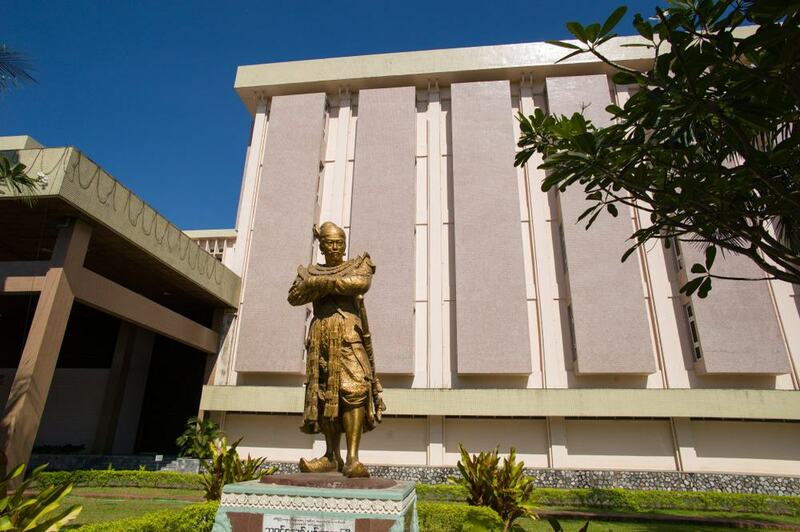 The museum has one of the best collections of antiques in Southeast Asia and this is the ideal place to come for anyone interested in Burmese craftsmanship and heritage items. 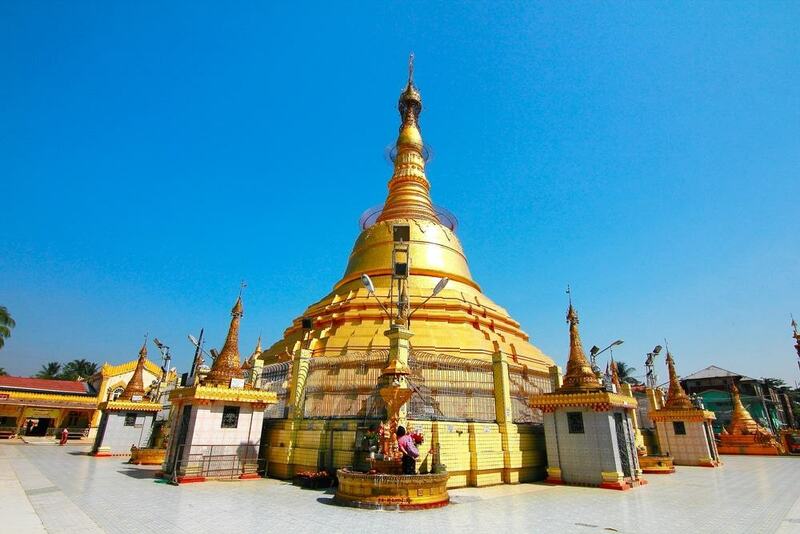 The Maha Wizaya Pagoda is one of the more modern temples in Yangon and is located on top of a small scenic hill. The pagoda is notable as it is topped with a picturesque blue domed ceiling that is covered in motifs and you can also see turtles crawling around the monument and swimming in the lakes on the lush grounds. Another reason to come here is to take in the amazing views over Yangon from the top of the hill. Myanmar is known for epic railway journeys and many of the train lines here were built during the British colonial period. 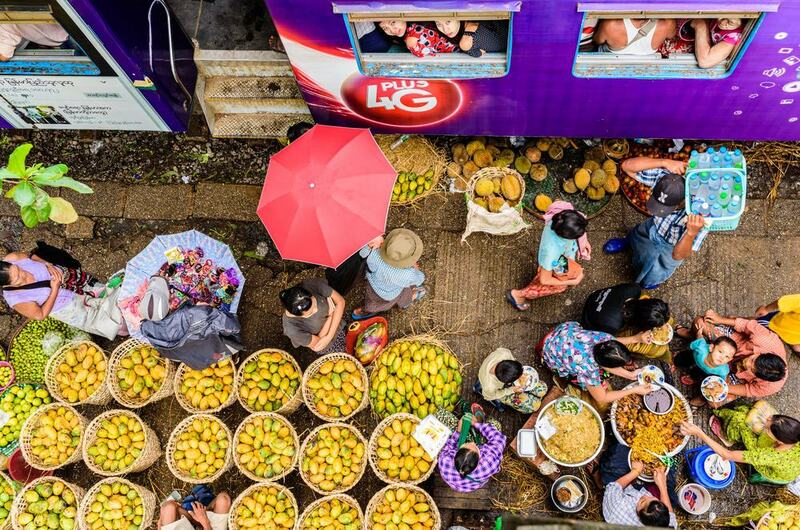 If you don’t have time to get outside the city however, then you can go for a short jaunt on the Yangon Circular Train which offers you the chance to take a three hour trip into the outskirts of the city. As you ride on the railway you can take in the emerald green rice paddies and other sights like rustic villages that dot the railway line. The Thiripyitsaya Sky Bistro is the best place to come in Yangon if you want to get a drink with a view. The bistro is located on the 20th floor and looks out over the city with panoramic vistas over the downtown area which stretches to the Shwedagon Pagoda. The best time to come here is in the late afternoon when you can watch the sunset with a bottle of ice cold local beer. Kandawgyi Lake used to be known as Victoria Lakes and although it is not the largest body of water in the city it is definitely the most famous. 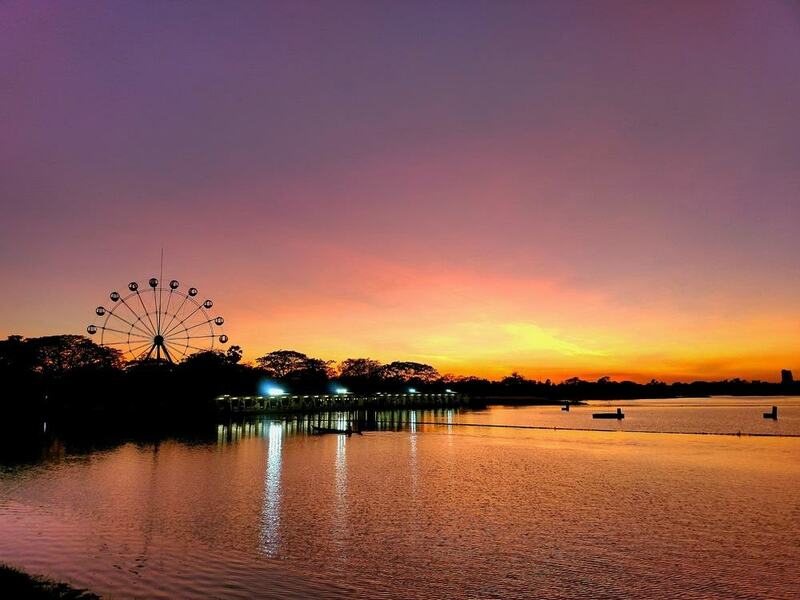 The lake is located on Bogyoke Aung San Park and is known for its boardwalk which wraps around the water and is the best place to go for a stroll in the evening. Depending on when you visit you can also find musical performances held in the park. Bogyoke Aung San Market is also sometimes referred to by its former name which is Scott Market. This market was built in 1926 during the British colonial period and surrounding the building you will find a number of cobbled streets that look like they wouldn’t be out of place in an English city. 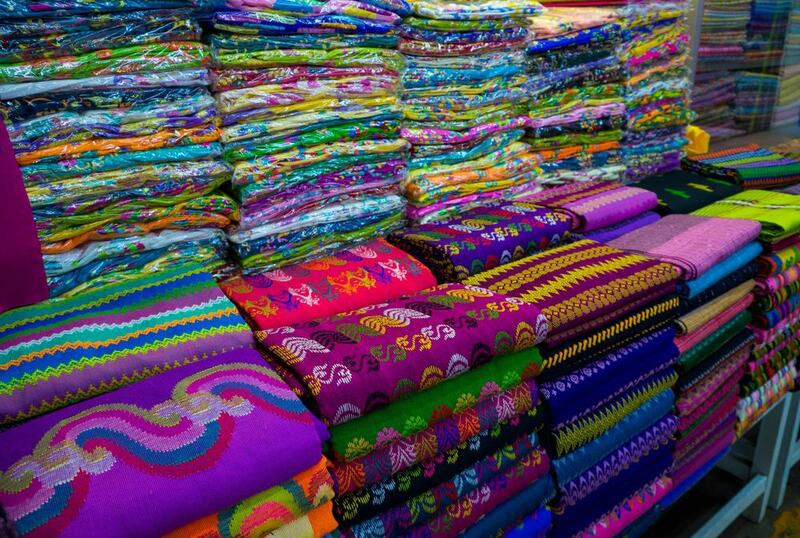 There is also a large indoor section of the market where you can get a good range of Burmese souvenirs such as textiles, handicrafts and paintings, so if you are shopping for gifts and mementos of your trip then this is the ideal place to come. If you want to briefly get out of the city then consider a trip on the Dallah Ferry. Dallah is a small village which lies across the river from Yangon but the main reason to come here is for the chance to ride on the ferry. This is a local ferry so you will get the chance to take to the water with the locals and the ferry is usually used to transport local produce across the river such as fruits, vegetables and tea. It is also free if you choose to sit on the upper deck. The Swe Taw Myat Pagoda is one of the nicest in Myanmar and is made of gold leaf and white stucco which glows in the afternoon sun. The pagoda is also covered in eye catching motifs in different colors and there are a number of entrances which mean that you can spend time exploring the different alleyways through the pagoda. This is also a famous religious spot in Buddhism as it is said to house a tooth of the Buddha. 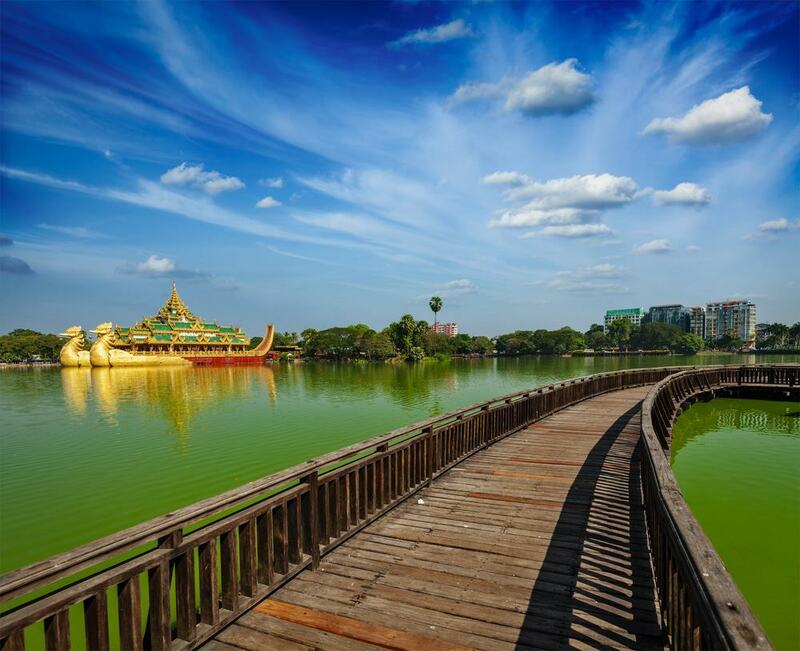 Inya Lake is the largest lake in Yangon and has recently been renovated so that you can now easily walk along its pretty shores. The lake also backs on to lush gardens and the area is known for its scenic villas which are owned by many of Yangon’s elite. This makes a top choice to go for a walk in the evening and you can also stop off for a drink at the Inya Lake Hotel and watch the views across the water that way if you prefer. Myanmar used to be a former British colony and it is still covered in traditional architecture. 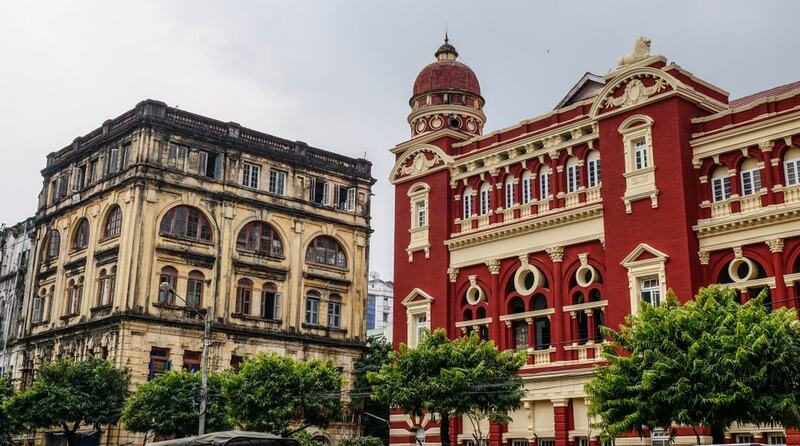 In recent years the government has made efforts to preserve the former colonial buildings and you can now go for a walk through the city and see some of the most beautiful spots. 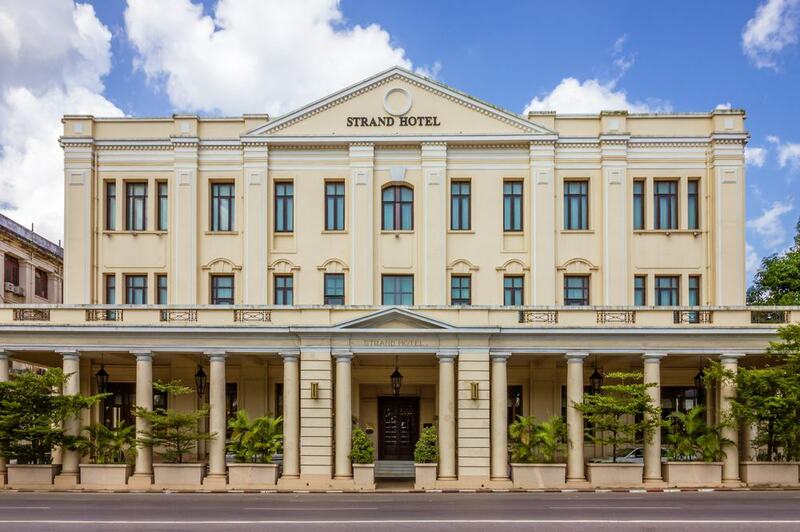 Some of the best to look out for include the Strand Hotel as well as the old Yangon Railway Station. 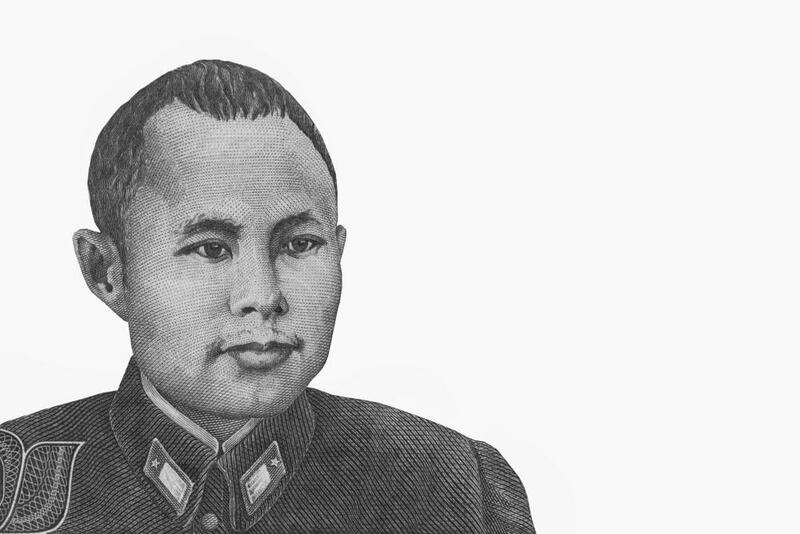 Aung San was a famous Major General and some consider him to have been the ‘founding father’ of Myanmar before he was assassinated. As such, he was an extremely important political figure in the country and you can now go and visit his home and learn more about his role in the founding of modern Myanmar. On a visit to his home you will be able to take in a range of memorabilia including his old car, his suits and his library. Myanmar has a delicious street food scene and what makes it so amazing is that it is made up of a range of influences including Indian, Chinese and Thai flavors. 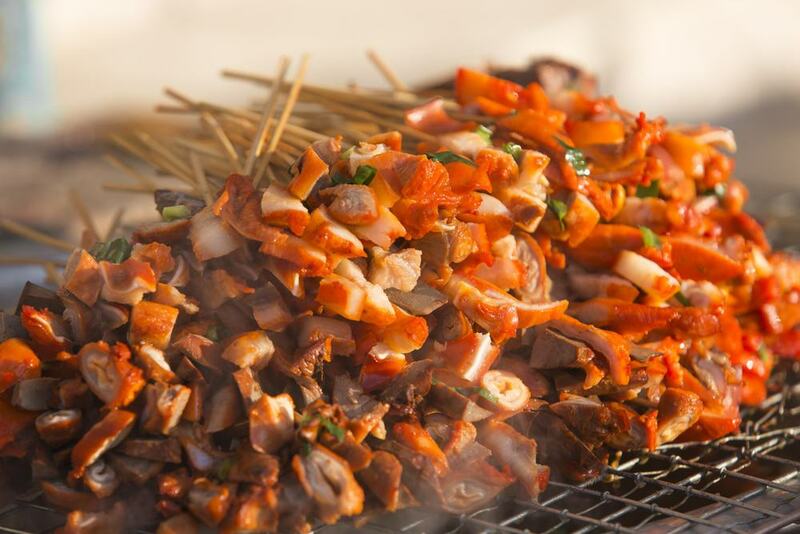 As you wander the streets of Yangon therefore, make sure not to miss out on local bites such as grilled meats on skewers or delicious fried samosas. If you want to stop off in a simple cafe then you can also try one of the most unusual dishes in the country which is a kind of salad which is made of tea leaves which have been pickled.